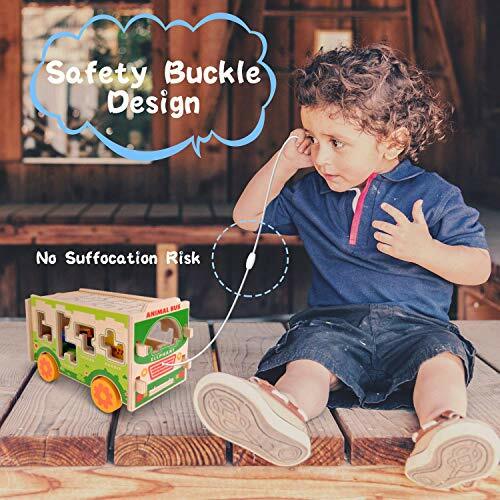 Original design! 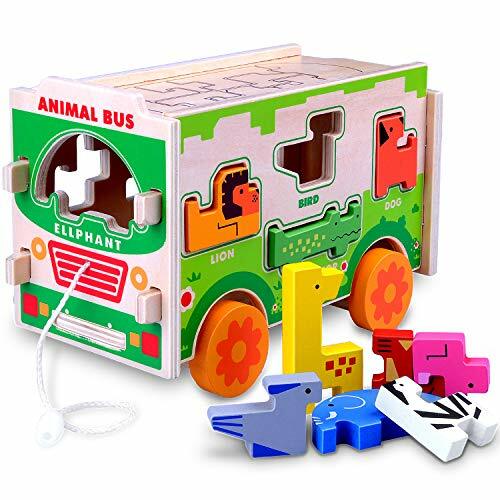 Let your kid to be a zoo keeper! 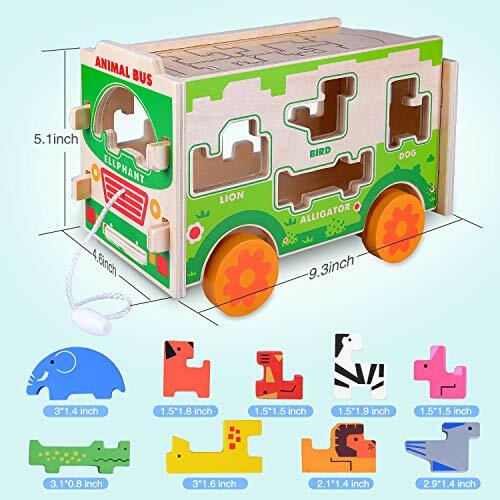 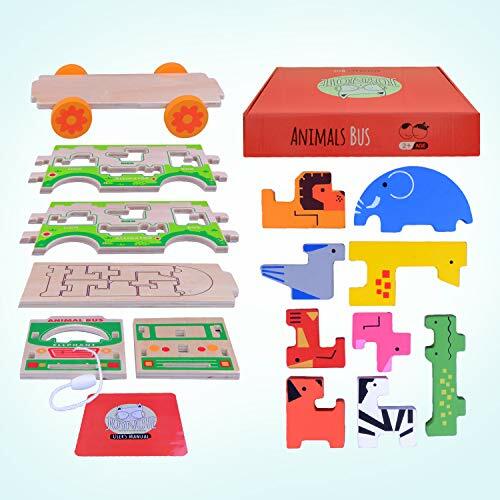 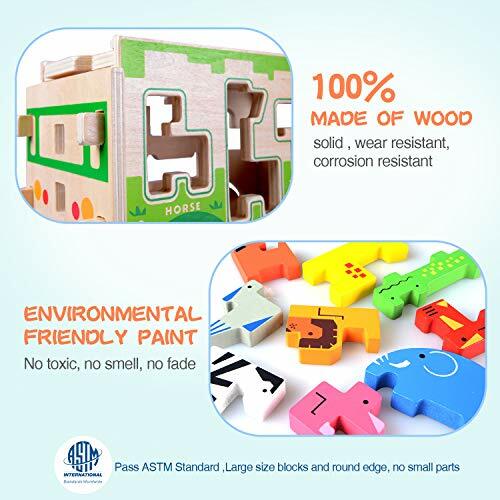 This classic wooden shape sorter is fun bus! 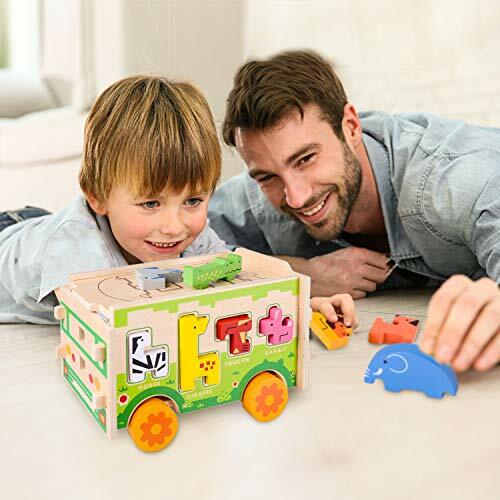 Multiple Ways of Playing! 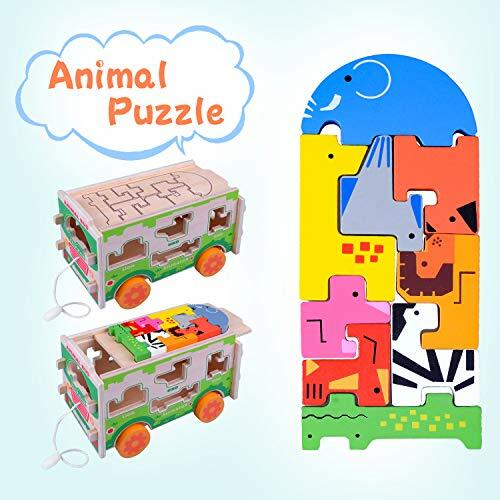 Our bus can play Jigsaw Puzzle and Seesaw Game by this animals. 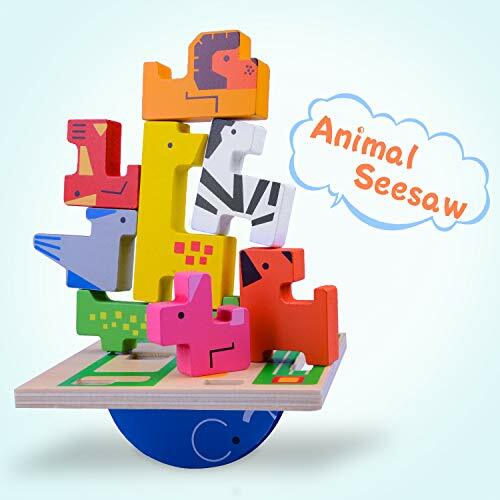 For younger children, it is also a great training for hand-eye coordination and fine motor skills.